I am so excited to share with you some amazing new makeup that I just recently purchased. 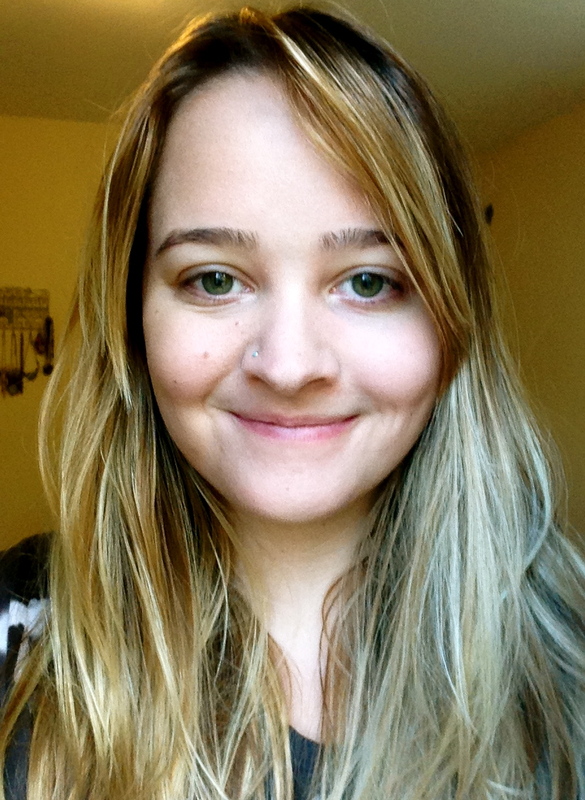 I’ve always pretty much been a no-makeup kinda gal – it takes too much time, etc, etc… but recently I’ve discovered how much I actually really like it. One of the reasons I love fashion is because it is just another way to express myself artistically. I’m realizing that makeup is the same thing. Its like painting, only on your face! Anyway, today I’m going to do a review of some of my new & old favorite products. 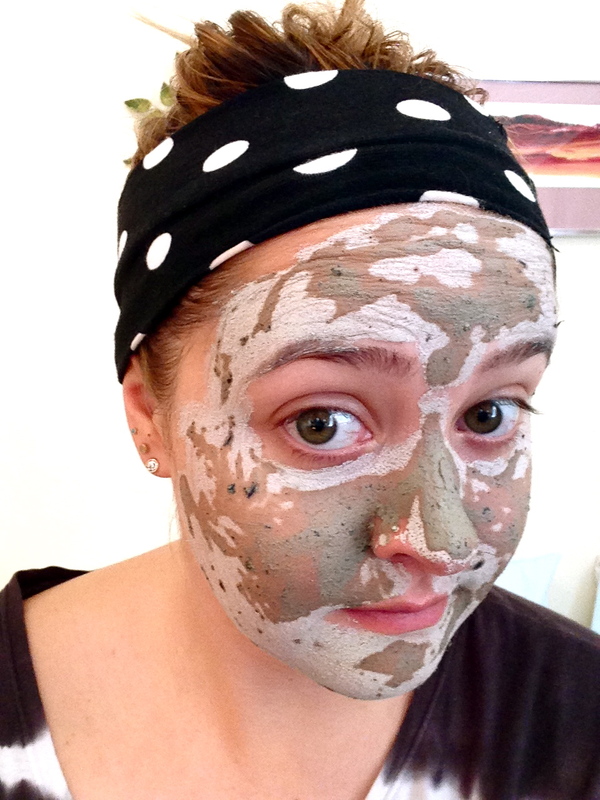 The first thing is going to be the hyped up GLAMGLOW Tingling & Exfoliating Mud Mask. I had seen (almost) nothing but rave reviews about this stuff, so I decided I had to try it out. 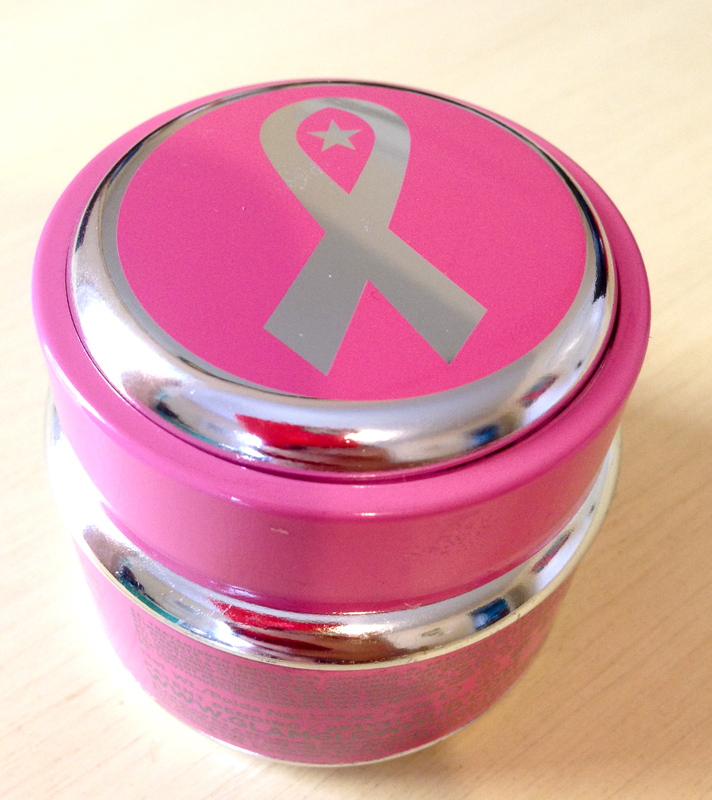 The packaging is pretty cute & I like that this edition is pink to support Breast Cancer Awareness Month. I will say, I was a little bit shocked upon opening the packaging to find how small the jar is. For the price of this baby, I will be using it very sparingly. Despite the initial sticker-shock-to-size-ratio, this is one of those masks that you can tell is definitely working on your skin. The minute I applied it, my skin was crazy with tingles. The mask is described as a “10 minute facial in a jar” and it is indeed that. I washed it off after about 10 minutes and my skin still feels amazing. It looks and feels so clear. Conclusion: it will be difficult to ration this stuff, because I really love it. Self control. I can do it. Next up are my little samples that I got for free! 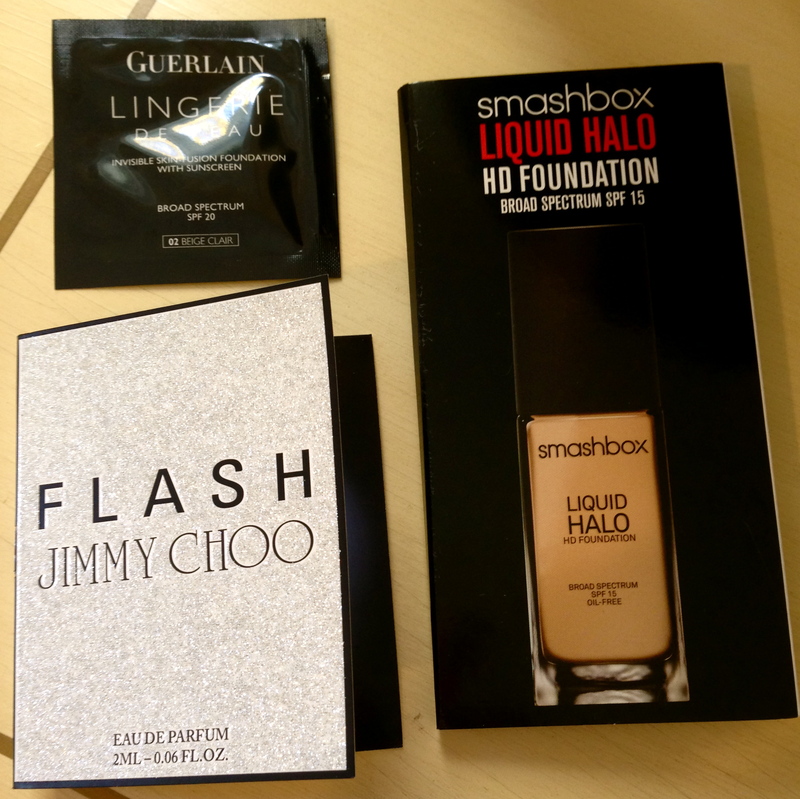 They are Flash (perfume) by Jimmy Choo, Smashbox Liquid Halo HD Foundation & Guerlain Lingerie De Peau Invisible Skin Fusion Foundation. The perfume is nice. I usually like very floral, citrusy and girly scents. My current favorite is Sugar Lemon by Fresh. Flash is a little bit mysterious, but still very girly. I like it, plus it came in that cute little sparkly folder. The Liquid Halo Foundation was too drying for my skin, so I won’t bother with that one. HOWEVER, Smashbox’s color correcting primer is amazing. I have very dry skin & my cheeks are always pink/red, so I use their green primer and it is magical. Because of my dry skin, I really don’t use foundation. I find it always makes my skin look flaky, but I was pleasantly surprised with the Lingerie De Peau. It really gave a flawlessness to my skin that I loved. Again, because of my red/pink undertones, I would usually go for a yellow-based foundation – greens and yellows counterbalance red skin. I’m not sure what undertones this one has, but the color looked good. If I bought this, I would probably go a shade darker. My face after applying the Lingerie De Peau. 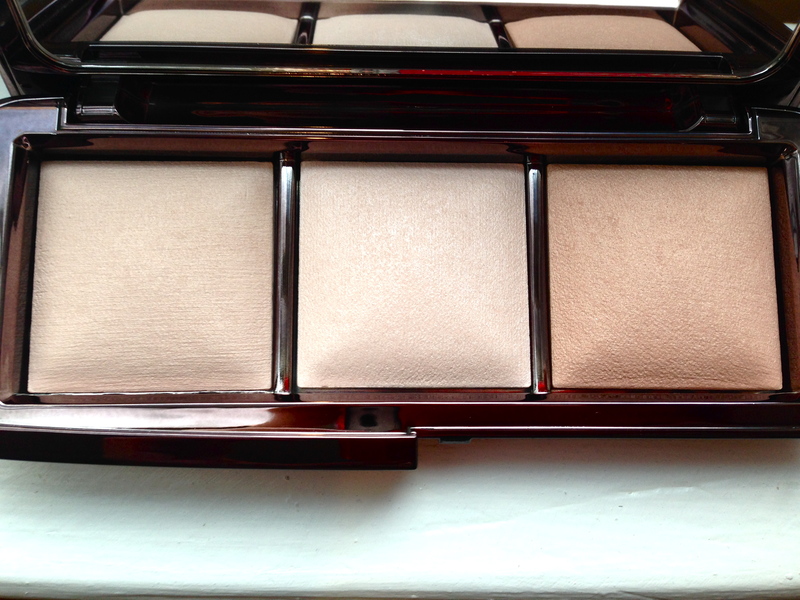 In this photo I also have on a little bit of Hourglass Ambient Light Palette. 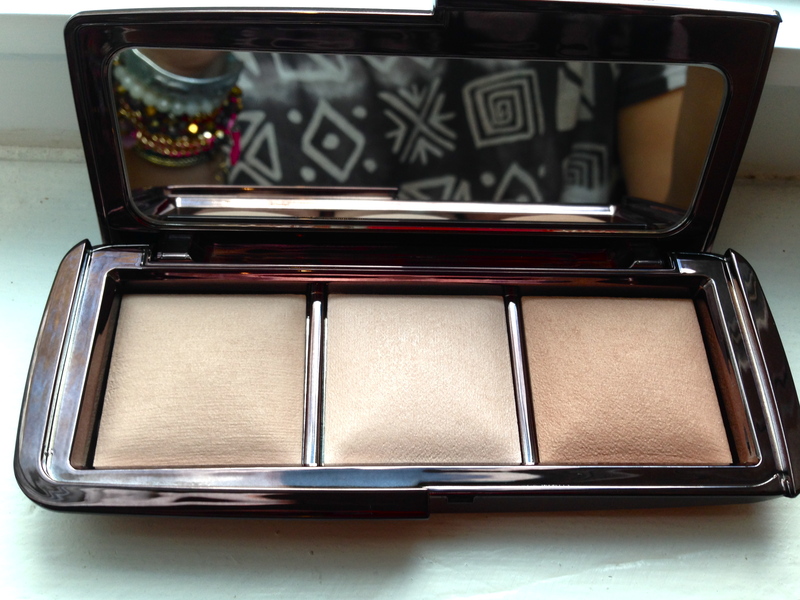 This palette is a limited edition version of their popular Ambient Light powders and I’m pretty obsessed with it. They are finishing powders that are meant to recreate the effect dim, incandescent and radiant light have on the skin. You know when you’re at a dimly or candle-lit restaurant and everybody’s skin looks flawless? You basically are getting that from this palette. So, if you’ve been thinking about maybe getting this product, do it! It’s limited edition, so it will be selling out fast. From left-to-right I believe it is: Dim, Incandescent & Radiant. This palette also comes with a little sample of their mineral primer, so its a pretty good deal. 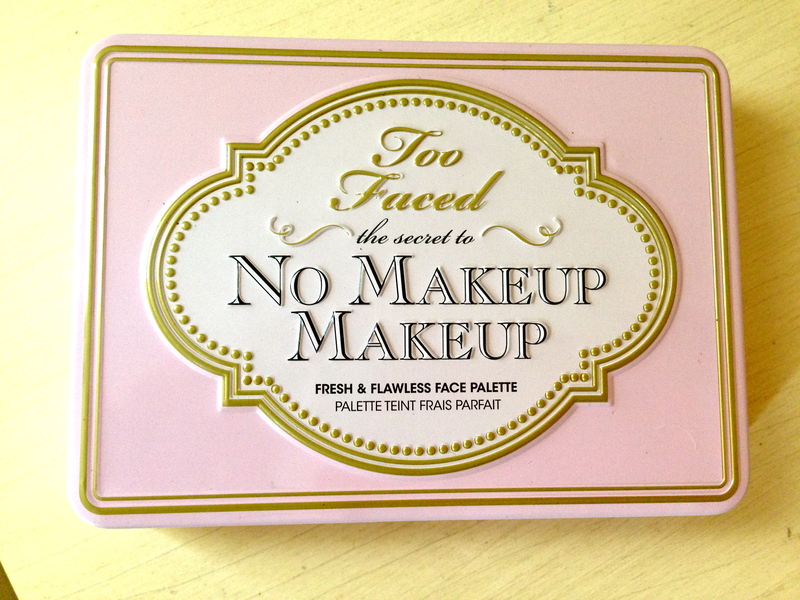 Last is Too Faced Secret To No Makeup Palette. I always like their palettes because they include little booklets that show you how to use the makeup to create different looks. I like this one in particular because of how natural it is. I only like makeup that is easy & doesn’t actually look like makeup on. It should just enhance my skin, you know? I think this palette does a pretty good job of that. Plus, look how pretty it is (in case it hasn’t become clear enough already, I am a sucker for pretty packaging). 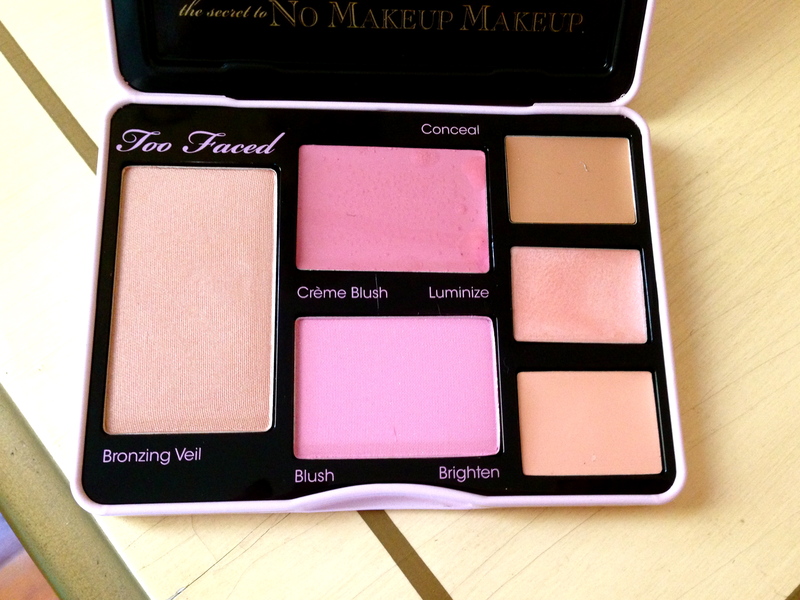 The palette comes with bronzer, creme blush, powder blush, concealer, luminizer & brightener. I have pretty fair skin, so the bronzer definitely shows up, but it isn’t too dark, which is good for us pale gals out there. The concealer was okay – pretty liquidy – and worked just fine for covering two tiny blemishes. The luminizer, which I applied along my brow bones, is a tad shimmery. It doesn’t show up much, which I guess is good because you can build it up if you need more. I would rather have a weak luminizer than stripes of sparkles all over my face. The brightener is pretty bright, so I’d be careful and apply only a little bit to dark spots. 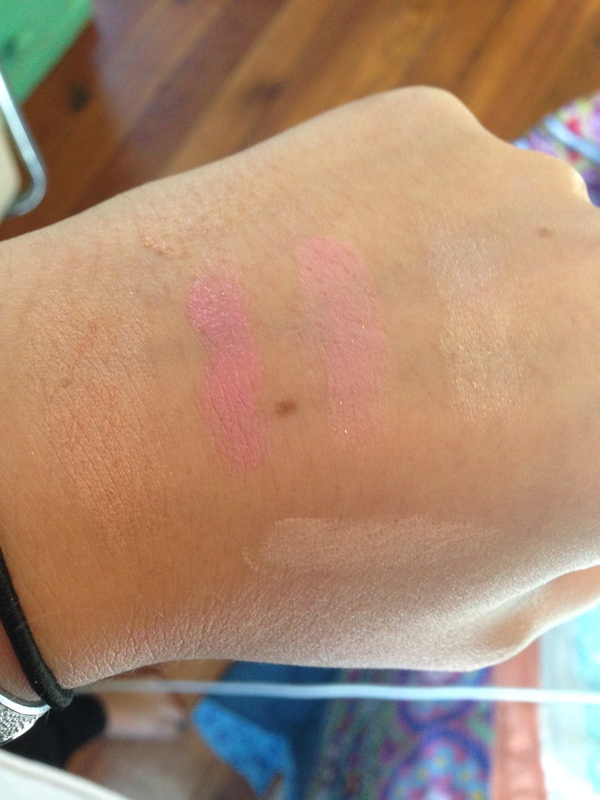 Lastly, both blushes are cotton-candy pink and look very pretty if swiped on gently. I tend to steer clear of pink or red because my cheeks naturally got enough of that, thank you very much, but with my green primer these can definitely work. What are your go-to products that you find yourself re-purchasing over and over?